This book offers a different kind of Christmas miracle. 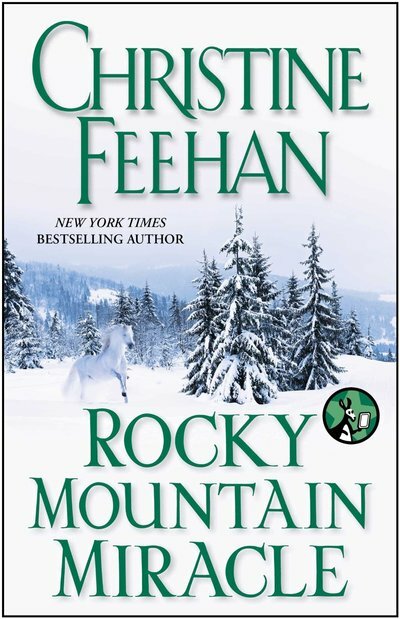 "True Grit and A Miracle"
No Christmas will ever be the same after Cole and Maia meet on a snowy western ranch� Find out why in #1 New York Times bestselling author Christine Feehan�s romantic holiday e-novella! When Cole Steele, a womanizer rumored to have killed his father, meets Maia Armstrong, a veterinarian rumored to practice magic, the sizzling romance could melt all the snow on his Wyoming ranch. And when an injured horse brings them together, Cole can�t help but believe that Maia casts spells on animals�and men. What else could explain the burning passion he feels for her and the thawing of his heart just in time for Christmas?